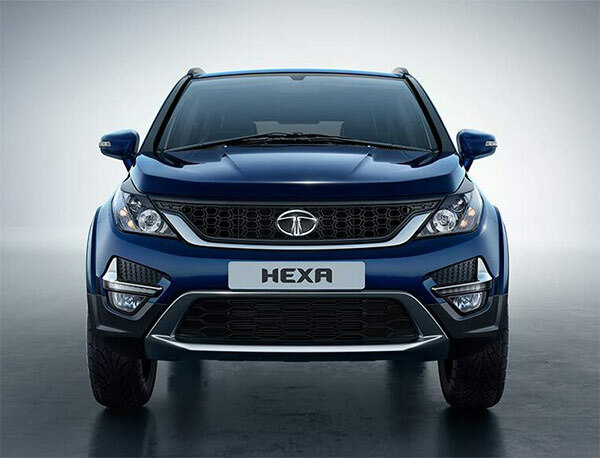 Buy your dream car using the carefully collated information here - Get complete information on Tata Hexa - prices, engine performance and other features in this exhaustive automobile and bike section. Madrasi.info is your Chennai city guide. From automobiles to education, from latest cars to travel destinations, you will find it all here. Tata brings another winner in the name of Hexa, a MUV/SUV with plenty of top notch features. Tata Hexa is the new MUV/SUV offering from the stables of Tata Motors. One thing about Tata is, they offer more car per car and in this car, they offer cavernous space coupled with a powerful engine. Hexa Features : Hexa comes in many variants: XE which is the basic version that starts at a price of Rs.11.72 Lakhs is fitted with the 2.2 L DiCor that does duty in Storme. However, here it churns out 150 PS and 320 Nm torque - obviously under a different tune. Hexa XM and XT - progressively higher end versions are fitted with the Varicor 400 which puts out 156 PS and 400 Nm of torque. It is mated to 6 speed Manual or 6 speed auto transmission. For the first time, a vehicle of this class is fitted with 19 inch alloy wheels. Intuitive Utility Spaces: Large chilled glove compartment, clips for storing toll bills, sun googles and other paraphernalia. Harman Sound: It has become standard in all new cars of Tata - the best audio system for cars within this price range. In Hexa, you have 10 speaker setup. Hexa Safety Features Hexa is built tough. It has 6 airbags and ABS, EBD, Hill Hold Control, Hill descent control and Traction Control System. With all these electronics and the inherent tough steel construction, Hexa is probably the safest car in its class. Its large glass windows and the tall stance provide greater all round visibility. 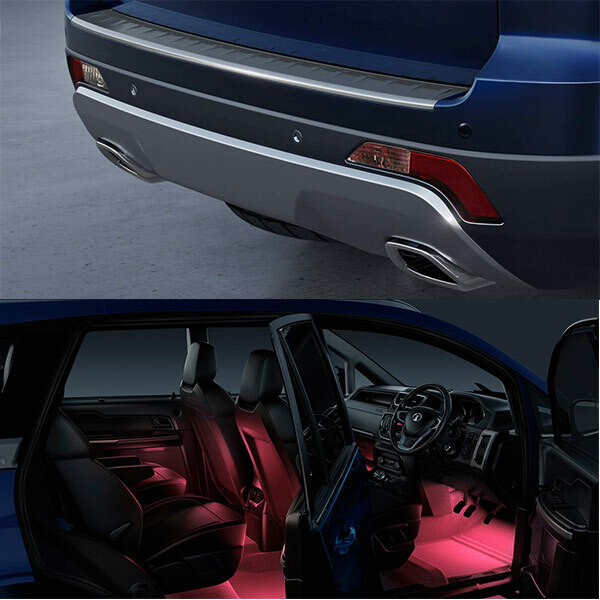 To see your rear, it has a rear view camera as well as Ultra sound sensors. Tata Hexa Specifications: Tata Hexa has 2179 cc 4 cyl engine which delivers 156 BHP with a torque figure of 400 Nm. This model comes with Air conditioning as standard fitting. Hexa from Tata has Power steering and Power Windows. It is outfitted with central door locking in tune with its class. Tata Hexa - SUV Car segment is equipped with a 6 speed gearbox. Tata Hexa Price: Tata Hexa in India costs approximately about Rs. 11.72 lakhs (showroom price)for the base version in Chennai( Price may vary depending upon the local taxes and Octroi ) at the time of publishing this page. Please note that the car manufacturer - Tata may increase/decrease the list price at any time. Again you may note that the price mentioned here is for the Diesel variant. On the road price will depend on the GST, Road tax, Insurance and extended warranty fees if any. Hexa Fuel Economy: This car runs 11 km per liter of Diesel in city driving conditions while it runs 15 km per liter of Diesel in highway conditions. In other words, the fuel economy of Hexa is Rs. 6.45 per kilometer. If you drive about 1000 km in a month, you will be spending about Rs. 6450 on your fuel ( at the prevailing fuel price in Chennai). Your actual mileage may vary. The information presented in this page has been collected from the respective web site of the manufacturer amongst other reliable sources. We have summarized the various features of this Tata Hexa in a tabular format below.